Casey Holmes is hands down my favourite beauty vlogger and YouTuber, she was the very first one I started watching when I delved into the world of all things beauty. 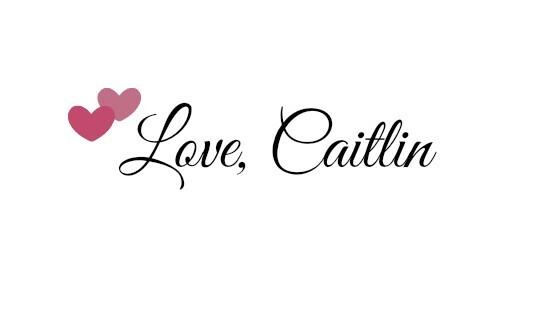 To this day she is still my favourite and I have learnt pretty much all my makeup tips and tricks from watching her videos. If you haven't heard of Casey Holmes then you are surely living under a rock and I suggest that you head over to YouTube and check her out. So it is no doubt that when she announced that she was working on a collab with Smashbox I was super excited to get my hands on it, no matter what it was. Finally, her collab has gone live and she has released 2 highlighting palettes that are perfect for any skin tone. These palettes come in two shades, Pearl and Gold. I decided to pick up the Pearl one as you know your girl here is pale as hell so that was the best one for me. Since I live in the UK, we normally have to wait for things that have been released in the US to be released here too and we normally have to wait a looooong time. However, this palette came out here in the UK about a month after it did in the US and I could not wait to get my hands on it. I have always been on the hunt for a highlighter that doesn't show all the texture on my face and that wasn't too glittery. I definitely imagined getting a lot of use from this palette and oh boy I was right! This will be difficult to replace as it has become my holy grail over the past month and I don't think I can go back to any other highlight. So because I am on the fairest end of the spectrum I ended up going for the Pearl Palette which has more cream, champagne and pink toned highlights that wear the best for my pale skin. The Gold palette has more, obviously, gold toned highlights and they tend to wear best on medium and darker skin tones. Now even though I don't actually own the Gold palette I have seen quite a few reviews and pictures of people wearing it and I believe that if you like gold tones and/or have more warm undertones to your skin then you could probably rock the Gold palette. I would love to try it out and see how it would look on my skin tone but I know that it would be a little too dark for me and I would end up giving it to my mum who has a darker skin tone than me. However, it is so nice to see that she has create palettes that will suit such a variety of skin tones and that anyone and everyone can use this. This palette comes with a pretty big mirror on the inside and I like that it is there so you can take this palette out without and touch up if you need to. There is also a very protective exterior to house the 3 shades which is plastic and black but very sleek at the same time. I like packaging that stands out but is also simplistic too. This is the perfect size and is brilliant if you are travelling or if you are off on a night out then this will just pop right into your clutch bag without taking up too much room and you can touch up wherever you are! She also included some tips to get her signature highlighter looks in a little leaflet inside. I really also like how she included the names of all the shades on the back of the compact too. 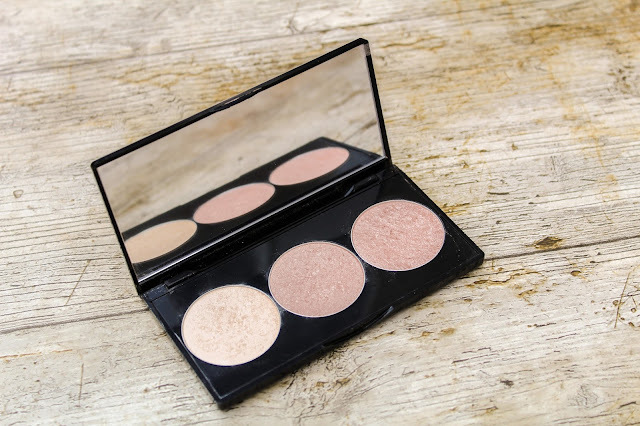 Like I mentioned before the Pearl palette comes with 3 shades inside, Turn It On, Crank It Up and Blow A Fuse, don't you just love those names?! Turn It On: This is definitely an 'ultra-blendable' highlight like the description of it suggests and it reminds me of the same consistency of a ColourPop highlighter. 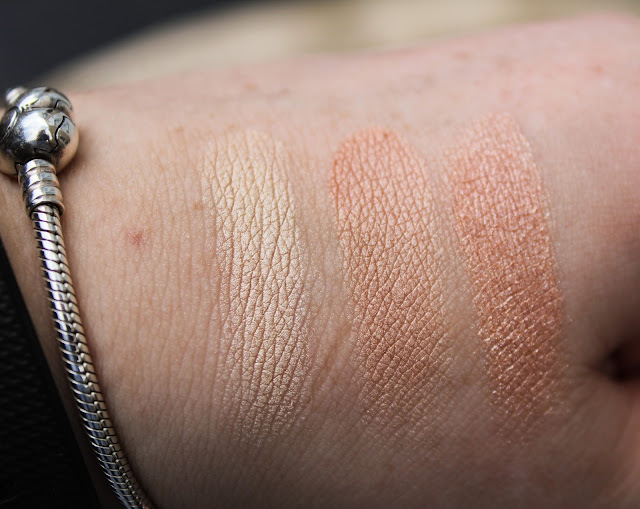 It has amazing pigmentation to it and feel so smooth and buttery when I swatched it with my fingers. This shade is a soft champagne colour that is perfect to wear during the day or even at night time. Crank It Up: This shade is more of a peachy pink colour that has more of a warm undertone to it. I didn't think I was going to like this shade on my skin a lot, but once you apply it it just looks stunning! Again, it is so smooth and buttery and is perfect for day or night time. You could even mix this one and Turn It On to make your own custom highlight shade. Blow A Fuse: Now this shade is a warm more coppery version of Crank It Up and it does have a lot more glitter in it. I think Casey refers to it as a highlight topper, so something to add on top of your highlight to make it stand out and pop more. I would say this is not as smooth as the other two highlighters and that is probably due to the glitter but I absolutely love this for a night out, it just makes the highlight pop that little extra! In terms of how these wear I think Casey did a fantastic job on helping create the formula that will suit people with texture on their skin and who have a hard time keeping their pores minimal when wearing highlighter. Strugging with sensitive skin, rosacea and break outs, I think she wanted to cater to a lot of women and girls who are not always kept in mind in the makeup industry. I also agree that these wear amazingly without emphasizing texture or pores in the skin while providing highlight and accentuating certain features. Each of the three shades are soft, buildable and blendable and full of pigment too. 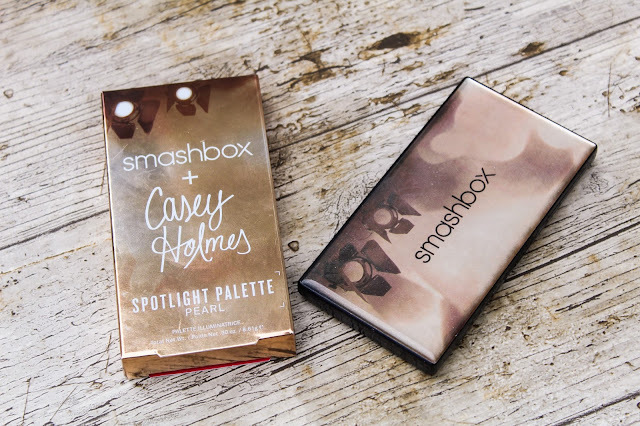 Casey mentioned in her video that these palettes were designed to not accentuate texture, which really had me intrigued. I have some texture on my face which is out there for the world to see and is especially noticeable when I'm wearing highlighter. The Pearl Spotlight palette didn't hide, but didn't accentuate the texture which was really surprising and made me very happy! It was a lovely, soft finish that I was really impressed with and this palette has been my go-to palette for every day. 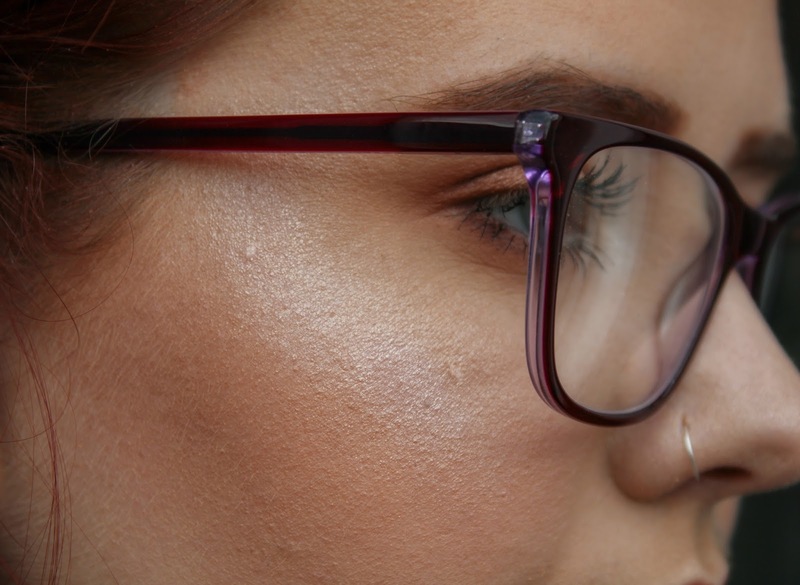 Another great thing about these highlighters is that I used it on my mum one day and as an older lady she has a little more texture on her skin and this highlighter looked absolutely beautiful on her. A little bit definitely went a long way and she even keeps sneaking back into my room and stealing my highlighter haha! These palettes retail for £26 here in the UK and $35 in the US and like I mentioned there are two options: Pearl and Gold which feature 3 highlighters each. I picked mine up from the Smashbox website and also recieved 2 free samples which is an extra bonus! Overall, I think this palette is a fantastic new addition to my collection and has definitely replaced my current highlighter. Have you tried this highlighter, if so what do you think? Also, what is your current favourite highlighter? Let me know in the comments!